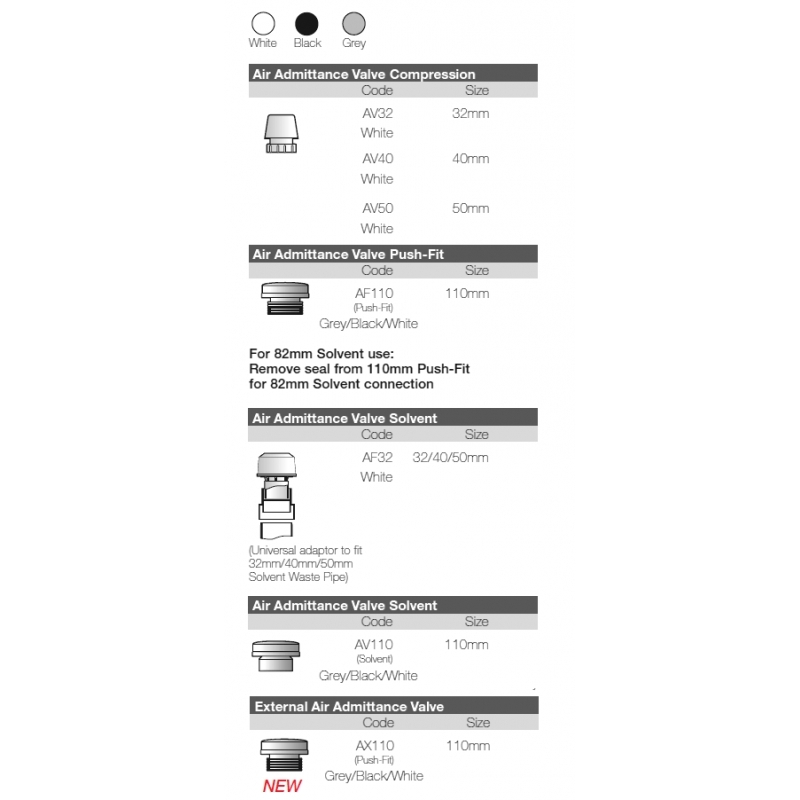 Product is A1 approved in accordance with BS EN 12380 - it can be installed below the flood level of connected appliances. Tested and approved for use in installations varying between -20° & +60°c (no insulation required). Air Admittance Valves are kitemark licensed in accordance with BS EN 12380:2002 licence number KM 512474. The Air Admittance Valves are designed to allow the free entry of air into the sanitary pipework system without the escape of foul gasses into the building. When installed into sanitary pipework systems conforming to BS EN 12056:2000, the Air Admittance Valve not only prevents the loss of water from trap seals due to induced siphonage but also has the added advantage of providing an early warning indicator to a potential drainage blockage. The AF110 Push-Fit Air Admittance Valve may also be used as a secondary rodding point to remove such blockages. It is recommended that air admittance valves are not used externally, as environmental debris will affect the air tightness performance of the valve. AF32 - 32mm, 40mm and 50mm Air Admittance Valves are produced from white ABS/PVC, and are designed for use with waste pipe conforming to British/European standards connected by a solvent cemented pipe adaptor supplied with the product. Ventilation and access must be provided to all Air Admittance Valve installations. 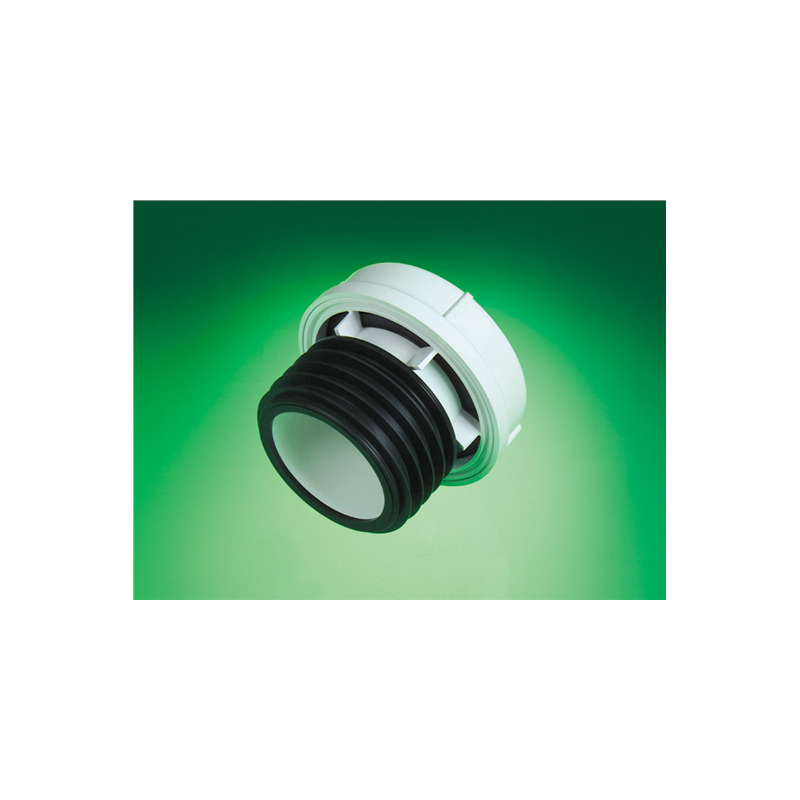 The External Air Admittance Valve is the world’s first and complements the existing array of internal air admittance valves available in FloPlast’s Soil & Waste range. The external version eliminates the need for the installer to work and handle pipe above the roof line, therefore making it easier to comply to working at height and manual handling regulations. Additional information on the External Air Admittance Valve can be found in the resources section below.